A gay couple denied the right to marry in their native Poland recently won permission to wed in Portugal, and it’s all thanks to their haters. 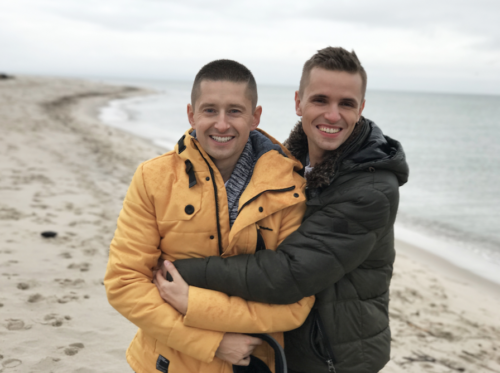 Polish couple Jakub Kwiecinski and David Mycek have made global headlines for their viral fan videos that seek to increase the visibility of gays and lesbians in the anti-gay country. But not all of that attention has been positive. Jakub told LGBTQ Nation that the release of their video for Roxette’s “Some Other Summer” sparked hateful comments and even death threats. A video the pair produced to a popular Polish song landed them on the cover of local newspapers amid calls for boycotts of the musician Beata Kozidrak for sharing their video to her song. But the haters don’t just fuel the couple’s fight for equality, Jakub and David believe it also helped persuade Portuguese officials to grant them an exemption to the usual document requirements. Typically, foreigners looking to marry in Portugal must provide documentation affirming there is no obstacle to their marriage in their home country (such as already being married). But after a year of effort, which including showing officials international press coverage from LGBTQ Nation and other publications, Portuguese officials granted their request. Jakub said he isn’t sure what exactly persuaded officials, but believes that most people in Portugal are accepting. The couple plans to wed in June on the Portuguese island of Madeira, where they fell in love. While a Polish TV company reached out to the couple about filming their wedding to make a documentary, Jakub told LGBTQ Nation that they want to keep it more private. “We thought it through and decided that our story might be inspired for other people in our country and we will take our friend with us who will record it and we might do something on our own to share with other people,” he said.